Going to have a highland themed week here on the mission starting with a few of my favourite distilleries: Pulteney, Clynelish, and Dalmore. Hard to believe that after a year of Malt Missions I have had only one Dalmore (Malt Mission #24)! Since then, Dalmore has redesigned their packaging and are in the process of redesigning their website, HERE. The new look maintains their unique bottle design and with a minimalist label and the Mackenzie clan's stag head on clear glass, the liquid inside the bottle has taken centre stage. 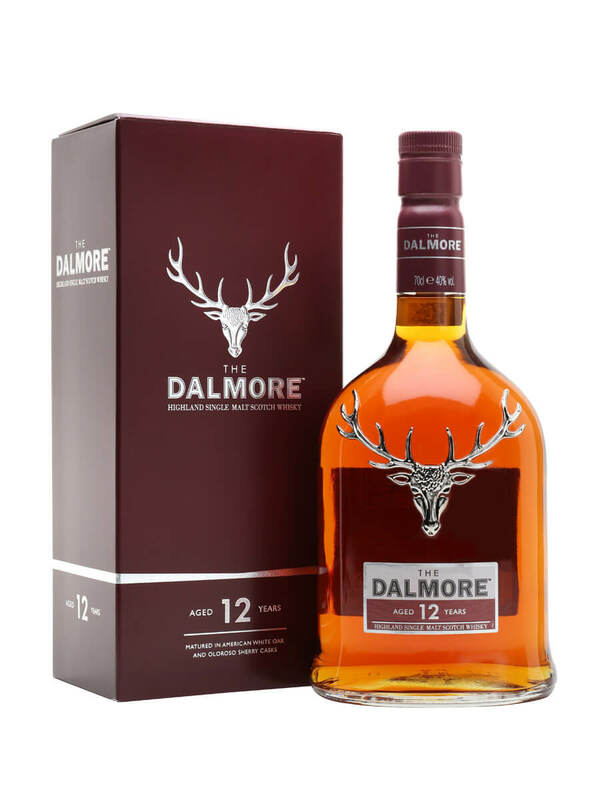 Master blender at Dalmore Richard Paterson has re-worked the recipe for this 'new' Dalmore using 50% ex-bourbon American oak casks and 50% ex-sherry spanish oak casks. The new boxes are pretty cool, too. Back in 1967, R.J.S. McDowall called Dalmore "a man's whisky." We can laugh at the old fashioned language, but still in the 21st century Whyte & Mackay (owners of The Dalmore) use adjectives like "masculine" to describe their products in promotional literature and on bottles. Probably not the best way to tap half of the worlds potential market. Sweet and spicy, toasty with honey and marmalade. Fresh orange, chocolate millk, tea. Lots of oak with vanilla and a malty sweetness. Gentle but with great, mouth-filling depth. Turning dark and roasted, chocolate. Long oaky and mocha-ed finish. Soft and mouth filling without being overpowering or too weighty, this is an extremely tasty drop. BUT the question is whether or not the new recipe justifies the £10 price jump on the old 12yo. Whatever the verdict, this is a wonderful highland whisky above or below the £30 mark... although I wish it was below.